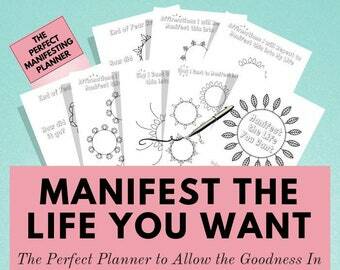 This goal & life planner printable is a complete system geared to work on your happiness, self care, wellbeing, mental health and mindfulness. 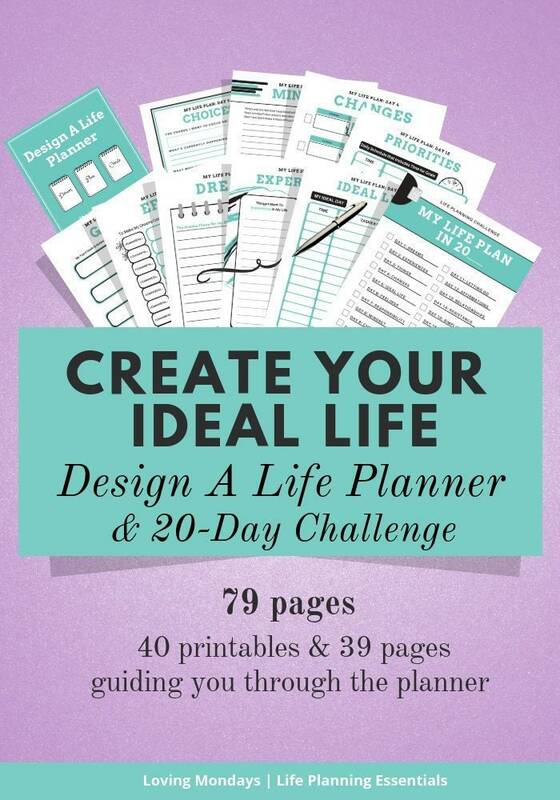 It's more than just goal setting printables, it's a whole life planning system (with step-by-step guidance) to help you figure out the direction you want your life to go. Reviews are saying it's 'life-changing'. 1. 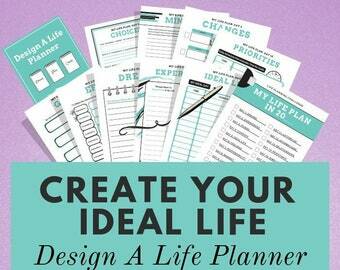 The 40-page 'Design A Life' Planner ready for instant download (PDF). 2. 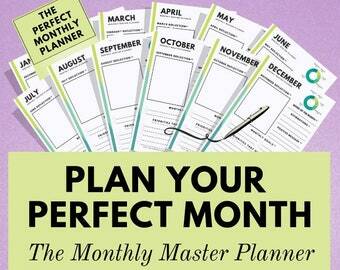 39 pages of guidance and inspiration to take you through the planner step-by-step (PDF). • These are instant digital downloads to begin using immediately. • Reuse over and over again. • The final stage of the purchasing process will include your ZIP FILE. • You just download the zip file, click on it to expand the file, and all PDF's for each size will be in individual folders. • You'll also receive an email with your ZIP FILE as well. 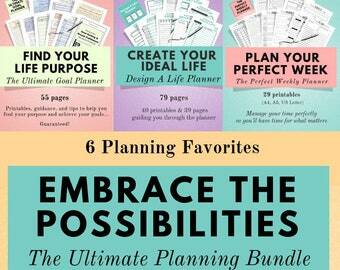 WHO AM I TO BE DEVELOPING THIS TYPE OF PLANNER? Over the last 27 years, I have worked with thousands of individuals of all ages to develop effective goals, find their life purpose, pursue successful careers, overcome procrastination, develop healthy habits, and live a life worth waking up for. I’m excited to share my experience and knowledge with you. Welcome! Don't hesitate to message me if you have any questions. I'd love to hear from you! 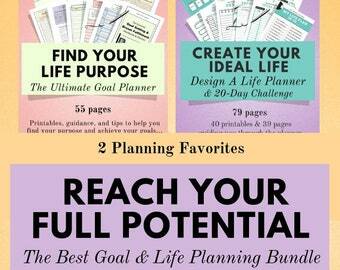 Goal Planner - The Ultimate Goal & Dream Fulfillment Planner to find clarity about your life and feel motivated. The ultimate in self care! 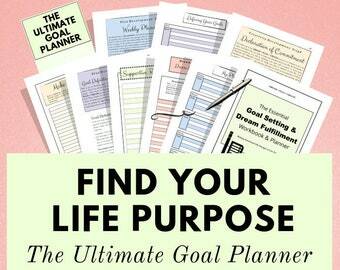 The Ultimate Life Planner, Motivation & Self Care Bundle - Find your focus, motivation, energy for life and overall happiness. Guaranteed! 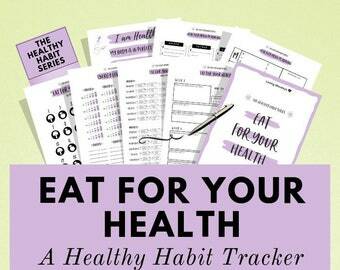 Habit Tracker Kit to improve your eating habits & uplevel your health! Improve your overall wellness, mental health and happiness. It works! 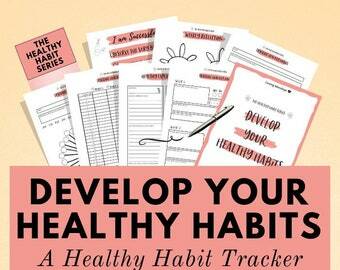 Habit Tracker Kit to work on your new habits and improve your life is so many ways - Improving habits is the ultimate self care practice! 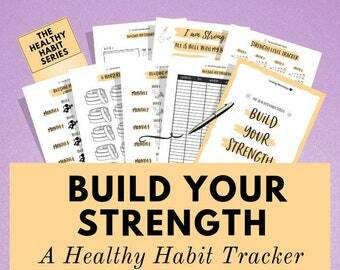 Habit Tracker Kit to Build Your Strength and Uplevel Your Health! Improve your overall fitness, wellness, mental health and happiness today! This is what I was looking for! 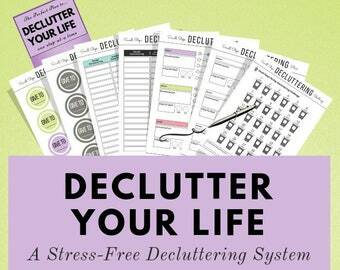 Something to help me get organized in my goals and what I actually want in life. 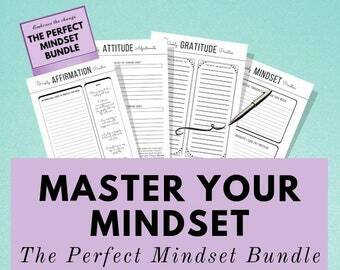 A very useful tool to get all your thoughts on paper through guided exercises. 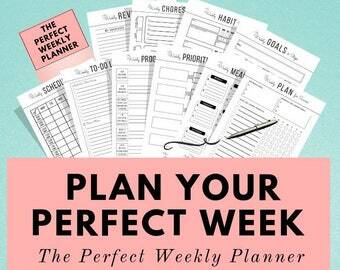 Weekly Planner - Manage your time, increase your productivity and achieve your goals like never before. These printables work amazing! The design is beautiful and I love how every step is broken down to make you feel like you can accomplish anything! 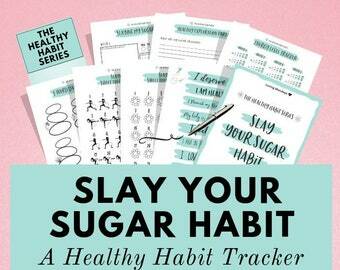 Habit Tracker to Slay Your Sugar Habit and Uplevel Your Health! Improve your overall wellness, sleep, mental health and happiness. It works!